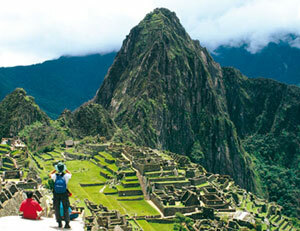 Life as an indie professional sometimes reminds me of a ride I took back from Machu Picchu on a tourist bus. Shrouded in fog that made everything seem mystical, the ancient Inca site connected us to a reality far from our lives in Hoboken, N.J. As we hurtled down the bumpy mountain route, it was exhilarating to know that my husband and I had traveled somewhere that many people will never get to experience. At the same time, I hoped that speedy bus wouldn’t careen over a cliff with us in it. In my freelance life, I often feel lucky to get to experience a hidden side of the work world : Being my own boss, deciding what projects are worth taking on and how much time to put into them, and setting my own schedule. On good days, I’m not chained to my desk. I can go to the park with my kids and enjoy a beautiful summer afternoon. But the flip side of it is that there’s risk. There’s no steady paycheck, and sometimes clients hit financial bumps at the same time my family does. If I get sick, there’s no one to take my place for a few days. Clients have no obligation to keep providing me with work or to offer severance if they stop. I live with a low-grade fear that my family’s health insurance, now almost $2,500 a month, will go up to $3,000 a month. My husband and I have to live way below our means as a cushion, something that is often easier said than done. If you think about the harsher realities of freelancing too much, you’ll start finding yourself filling out 20-page new applicant packets for a corporate gig. How do you make sure you enjoy the freedom of freelancing more than you worry about the risks? Not long ago, I interviewed Teresa Amabile, a director of research at Harvard Business School, who has done some well-known studies on worker engagement. The article, for Money magazine, was about how to enjoy your corporate job more. And while the advice was aimed at the full-time-with-benefits crowd, one thing Amabile said has stuck in my mind as being very relevant for freelancers: Her studies showed that workers got the most satisfaction from making progress on meaningful projects. The last couple of months have been stressful for me, as a result of catching the flu (along with my husband and some of my four kids) this spring and having a fever for five days in the middle of two massive projects–and a resulting pileup of work that spilled into almost every weekend. When I’ve found myself worrying about getting it all done, I’ve tried to “hit pause” for a moment and think about what meaningful steps I can take on each of my projects that day to move them to their final stage. That’s helped me redirect my “worrying” energy into bringing each project to completion. And doing that has made me happier–and more productive. So thank you, Teresa Amabile, for that valuable tip.